I am feeling better about staying on top of things like I talked about last week though. Even though this year I have more work than last, it feels good to finish an assignment, move on to the next, and slowly make progress to my end goal (which I’ve finally figured out). I still have to see how things go, but I may end up switching up my posting. It may be Monday, Wednesday, Thursday, Friday, instead of Tuesday, but we’ll see! And don’t worry I still was able to gather up some great posts (and food pins) for you of course! This video! Beauty and wisdom! If these solutions worked for them, they can work for you! Nodding my head to this! I can’t either! I think this applies to more things than just parenting. But ugh! Yes! Just because you read something, doesn’t mean you;re taking action on it. These tips could be helpful! Great perspective and one I totally agree with! Still much rather do a long run than anything else! + How Much Cardio Do We Really Need? It all depends on goals. Gearing up for the big day with your sanity intact! If your interested in getting your certification! She takes you through the whole race journey! Insane! I don’t even like to eat out, but these places sound fab! So I should be a lawyer? Hahaha! Haha, real desserts 😛 That’s a good one! Be prepared to see some applesauce this year! This is such a fantastic read! Make sure to check this out! #1! That is the worst! Really, I love my fermented goodies! + Is There Any Room For Writers On The Internet Any More? It feels a bit crowded, don’t you think? + What Is A Lifestyle Blogger? It all becomes clear now! Totally agree with the blank void of nothingness! I guess it really does depend on the situation. O gosh! I can break out my scarves soon! Haha, this is so true, so sad! + Why Does Getting Rid Of Stuff Feel So Good? Declutter!!! It DOES feel so good and refreshing! 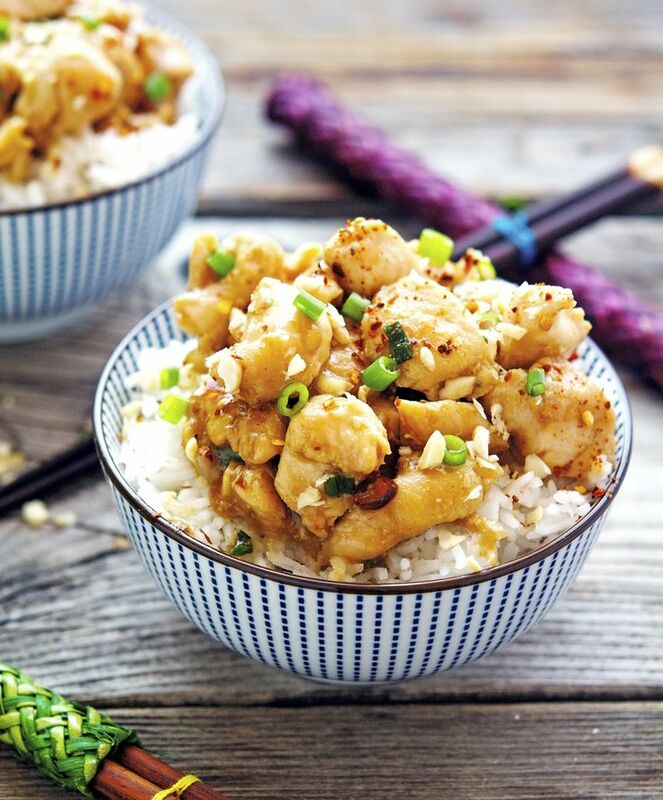 Paleo Kung Pao Chicken. Kung Pae-YEA! Chocolate Chip Cookie Pancakes. These are pure pancake perfection! 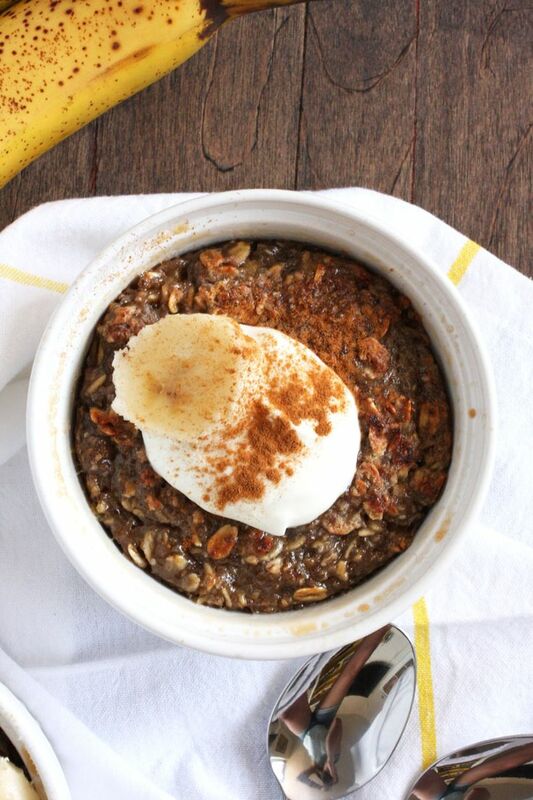 Banana Oatmeal Brulee. Now isn’t this oatmeal love! 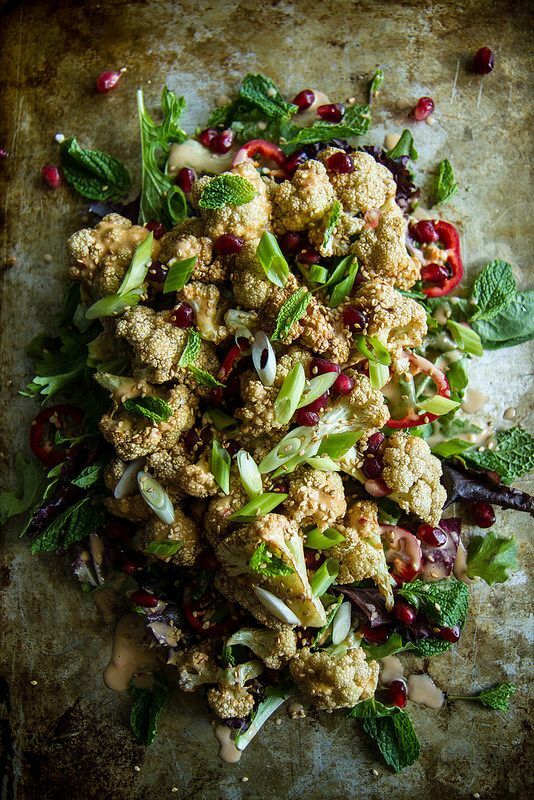 Crispy Cauliflower Salad with Tahini Vinaigrette. Cauli and tahini? You need nothing else! 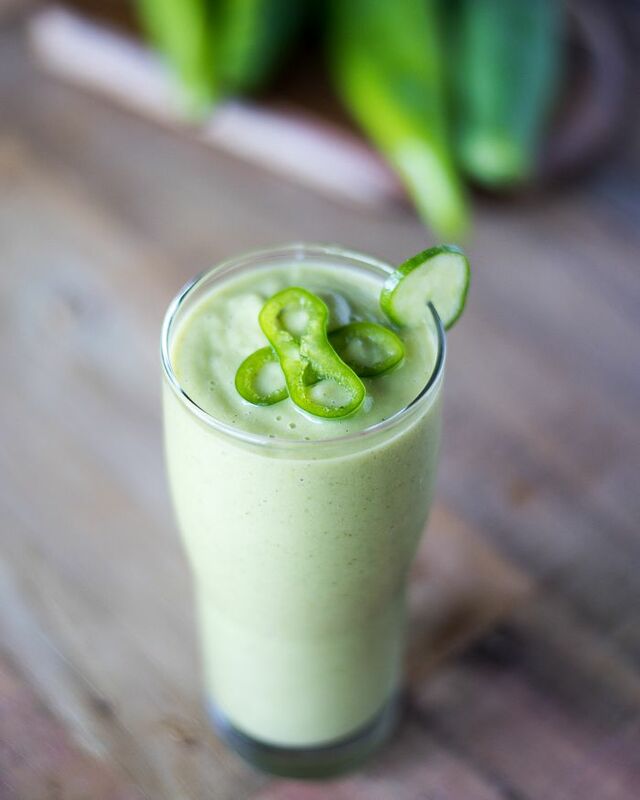 Hatch Chile Smoothie. It’s still hatch season! This is the most creative use yet! Zucchini Noodle Cashew Stir Fry. My love for Asian and cashew flavors! 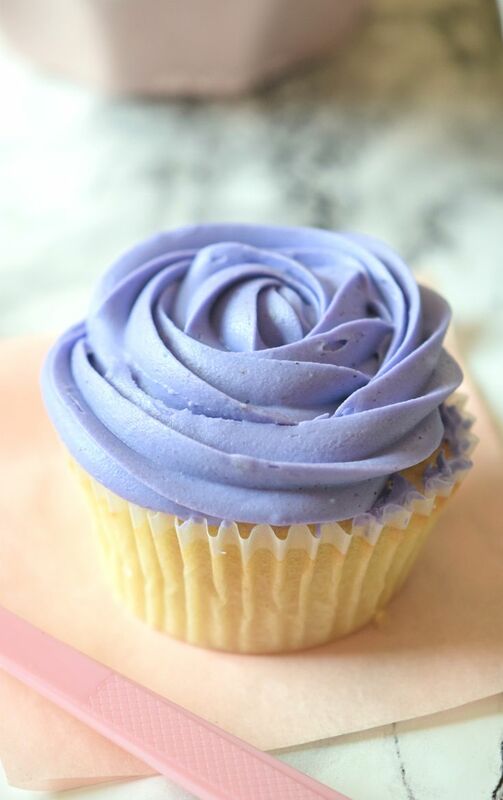 Single Serving Peanut Butter Jelly Cupcake. Your life just got infinitely better! 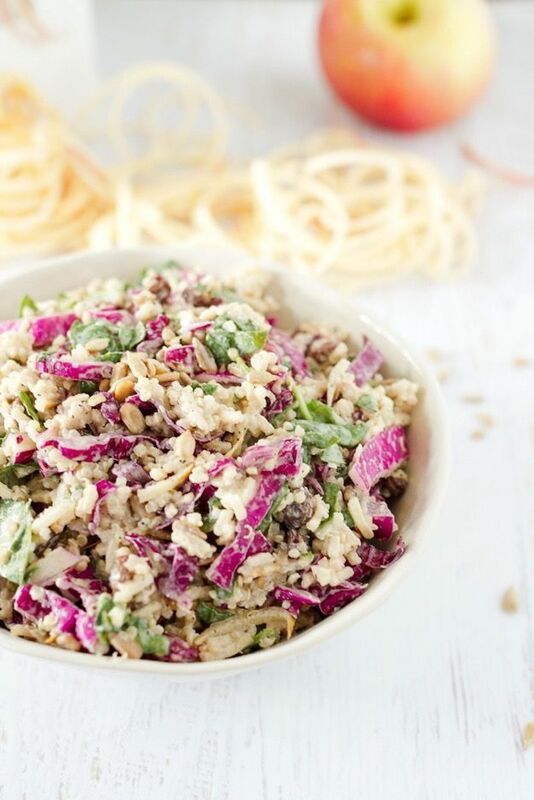 Spiralized Apple Slaw. Sounds like something I would create! 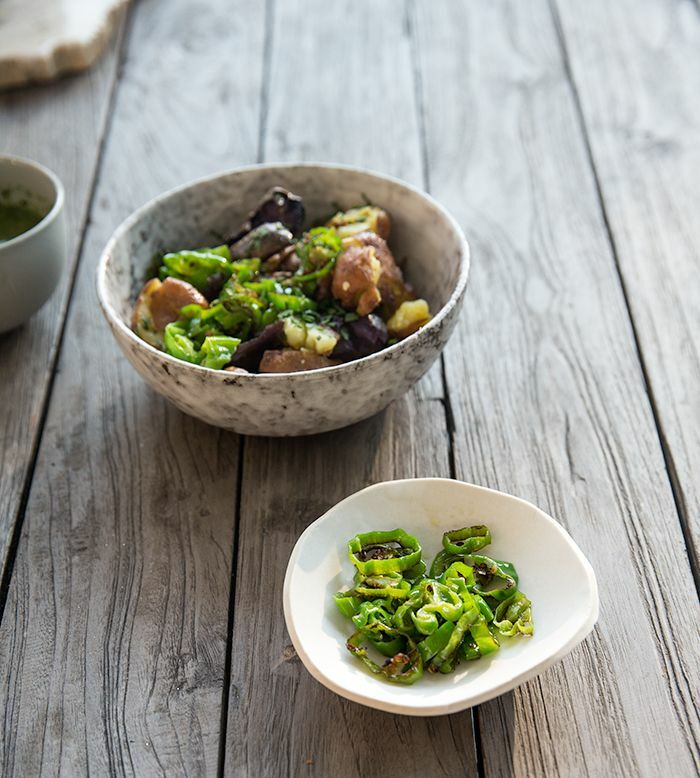 Crispy Smashed Potatoes + Shishitos and Chives. Potatoes and my favorite peppers! 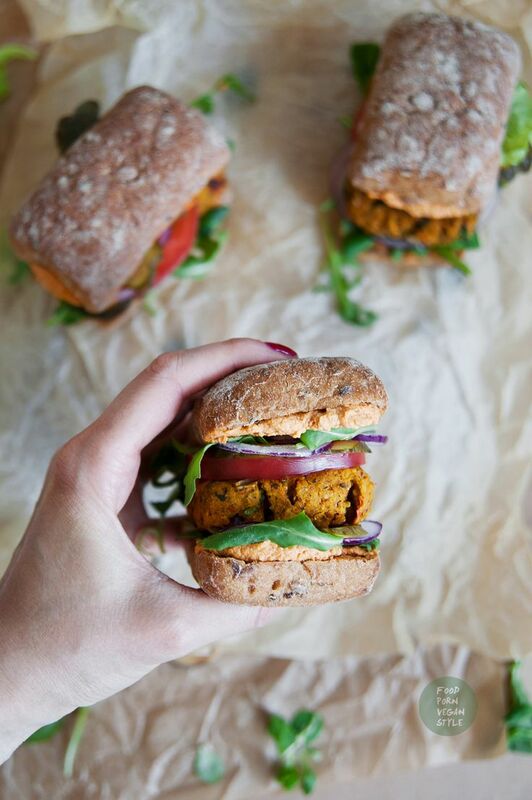 Spicy Hokkaido Pumpkin Burger. A huge bite of these! 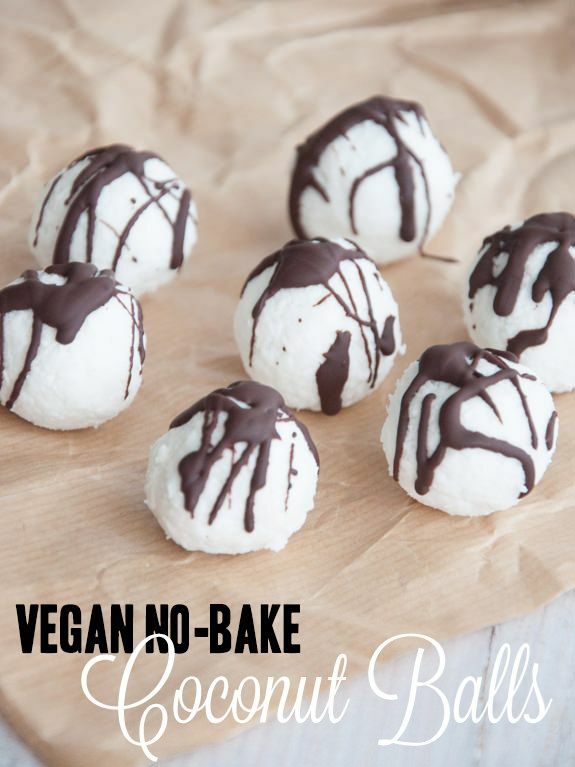 Vegan No-Bake Coconut Balls. Pure coconut love with drizzles of chocolate hugs! 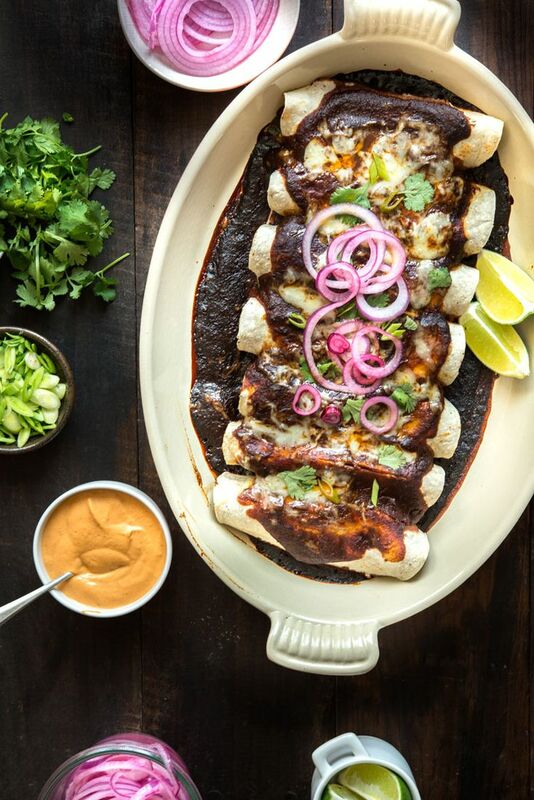 Heirloom Bean and Pablano Enchiladas with Guajillo Sauce. Best enchiladas ever??? + What I also loved was your excitement about my Pumpkin Pie Snack Bites! To show some more pumpkin love, Windy City Organics and I put together an instagram giveaway for you all to win some of that great Dastony Pumpkin Seed Butter! Head on over to my instagram are enter!!! + I survived my first full week, I think I can be grateful for that! + What were your week’s highs and lows? + Favorite subject(s) in school? It’s always changed. I’ve liked them all at some point and hated them all. But anything history of social studies will always feel “good” to me! What a busy girl you have been! I like the Peanut Butter Jelly Individual Cupcake – it has my name on it. It’s such a beautiful treat! Great links as always =) Glad you are enjoying being back at school. Ugh I hate math – good luck with it. I’m sure you’ll do great! 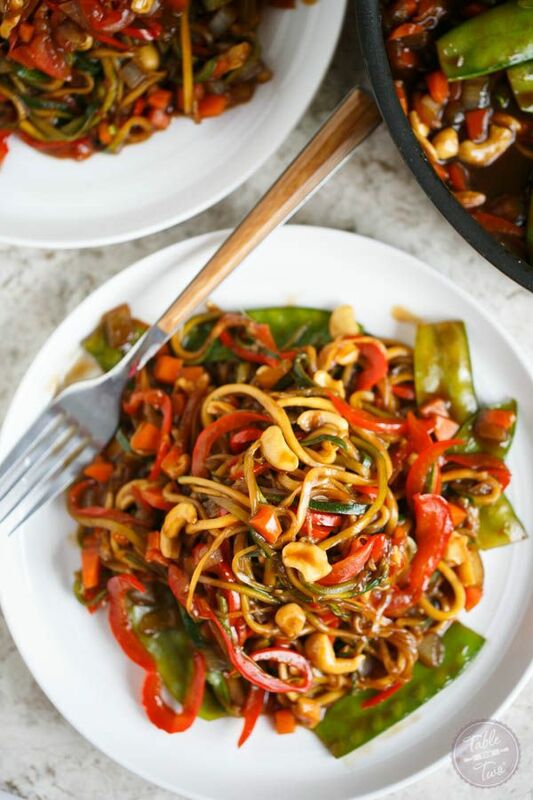 The Zucchini Noodle Cashew Stir Fry looks amazing! We received quite a bit of zucchini with our CSA this year and I only got as creative as chocolate zucchini bread. I wish I would have known about this recipe! It looks so tasty. We recently started making noodles with spaghetti squash, but I have never thought of zucchini. Thanks for sharing! I also enjoyed How Giving Up Refined Sugar Changed My Brain. I did that (partially) early this summer and thought it was a good move. I have gone backwards, but should reconsider. Especially after reading that article! Such a great roundup of resources and recipes! Thanks for sharing my Brulee Oatmeal! I am loving this round up! Some of these blogs I have never heard of before and can’t wait to sign up and start reading! Thanks for introducing me to them! I’m absolutely the worst in math, my boyfriend makes fun of me all the time because of that 😀 but.. seriously all the math I need in real life I can simply find out by looking it up. And that practically never happened.. because the basic forms of maths (sub, add, div, mul) are the only ones one really needs anyways. Oh and I still remember I was totally stressed out in the beginnings of new school years… every teacher told us their assignments and tasks for the year and it was just too much for me. I totally hated that overburdened feeling. My favorite subjects changed with the teachers.. they really can create or destroy the interest. Exactly! All I need to know, which I’m good at already, is COOKING math 😉 Hahahaha! I agree! The teacher does make a huge difference! That may be a good sign this year though! Thanks! I already told you on twitter you are the sweetest, but had to come back here to repeat it!! Great links, I especially liked the Death to Diet Foods post. It sounds like you’re in for an intense semester, but if any one can handle it, you can. 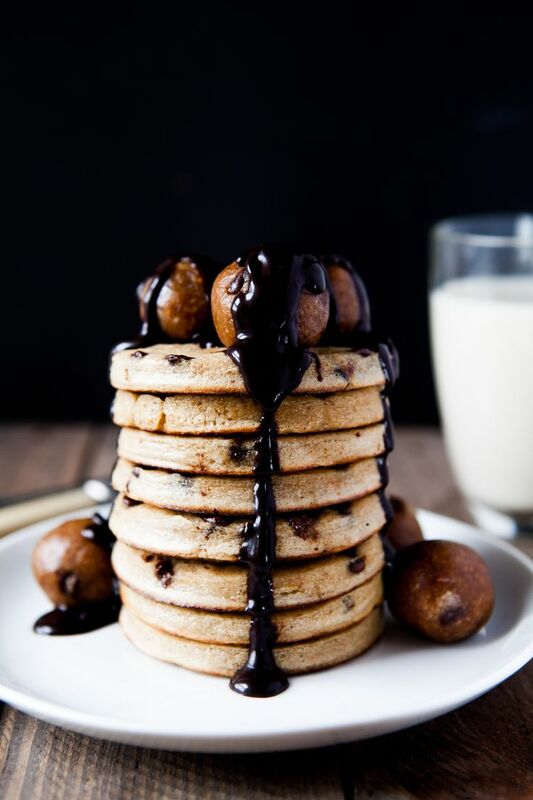 Oh my yum and those Chocolate Cookie Dough Pancakes, drooling…. I had to bookmark so I can come back and check out the writing links. Thanks for sharing. I hated math, but love language arts and writing. Glad I stopped by to check out your blog. Numbers (and letters) are just not fun and should not mix! Also weird signs and symbols, hahahaha! Group work is the bane of my existence! I am an independent woman! I want to do my own work! My week’s high was going camping and hiking! The low, hm, I’ve just been feelin’ kinda off lately! Science and math were alwayssss my favourite subjects in school! Love love love that first link! My mum has sent me the video a couple says ago and I’ve watched it like 4 times. So good! Camping and hiking are so fun!!! Send me your love for the subjects! Haha! It’s such a great video!!! I saw it on Facebook, but skipped past it, then a blogger linked to it and I finally watched it and loved the message! I can only pray (I’m 99% sure) I don’t have to take statistics! I think it’s more severe 😉 But I loved the photo of ordering fries WITH you ketchup 😉 Bahahaha! That is so me! I know! She is a pure sweet cupcake genius! Great collection of posts! I love your Friday round-up. While not practical, I was more of a math girl…I like everything to have a definite answer 🙂 Have a great weekend! Math is too much pressure to get it right! Thanks for including my post 🙂 My favorite subject was history too! Particularly U.S. history. Wow, what an amazing collection of links! Everything from food to blogging to health! Thanks for sharing! By the way, those Coconut Balls looks sooo unique and so so delicious! So many awesome and delicious things. You ROCK, girl! Someone has to make sure the goods get shared!